I’d love to work with you either in my clinic in Sydney or where ever you are around the world. To begin to understand how kinesiology works start by imagining your mind and body together as a giant hard drive. On it your body stores all the experiences you have ever had, feelings you have ever felt and thoughts you have ever processed. It also holds all your beliefs systems, your genetic memory and the entire blueprint of your physical body. By muscle testing I can access this information on your hard drive to unblock your current stresses, traumas and physical toxins. By testing your muscles and utilising different techniques I correct the blocks allowing you to get you back to your default setting – you at your very best. Kinergetics is such an amazing modality… if you haven’t tried it you must try it out! I believe everybody can benefit from kinergetics! Kinergetics is a specialised modality of kinesiology. It is thorough in resetting the body back to its default setting. At the beginning of each session a Temporo-Mandibular Joint correction takes place and a hydration technique completely customised to your body’s needs at this point of time. More information on a typical kinergetics session. What will happen at your Kinergetics session? We start with you lying fully clothed on a massage table. I use your arm muscle to monitor your body’s imbalances and stressors. By adding light pressure to your wrist your subconscious indicates your needs as your arm either remains contracted or moves to a relaxed state (this is how I communicate with your subconscious) then I bring your body back into balance during the session. What successes have been experienced by clients? Clients really do experience many different successes as a result of attending kinergetics. I truly believe we have a chance to help in any area of your life through kinergetics. Client free of shingles pain after 4 sessions and off ALL medication after doctors advised medication to manage pain was life long. Student on the brink of leaving school in year 9 DISTRESSED by poor academic results affecting mental health. Gradual improvements over 4 months to the point where student then published book of poetry which has been her passion and now has a zest for life. Client achieving pregnancy in 4 months of kinergetics following 7 years of IVF treatment. There are many more stories. If you have ANY issue in your life that could look better please give kinergetics a try. You have everything to gain from the experience. In a period of profound changes in health fund administration occurring April 1st, 2019, some are querying the possibility of an unregulated practitioner in natural health. Latest studies show the consumer is more than ever the primary manager of their own health care. Gone are the days that we hand over our well being decisions to our GP or even specialist. and keeps clinical notes for each client are all essential. Association bodies such as Australian Traditional Medicine Society (ATMS) remove the guess work by providing lists of professional practitioners you can trust. I am currently a member of the Kinergetics National Association and ATMS which is Australia’s largest Natural Therapies Association. I’ll continue work within the framework of these organisations to provide an efficient system to manage and monitor the essential professional requirements for Accredited practice. 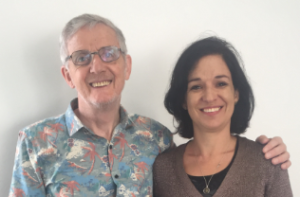 On the topic of committing to ongoing professional education I was honoured to study with a world leader in the field of kinesiology, Philip Rafferty March,2019. Philip was not only the founding president of the Touch for Health Association Victoria, Australia, he is also the founder of Kinergetics. His continued drive to evolve the area of kinesiology is inspiring. Our study covered newly developed and deeper corrections in kinergetics sessions only now being taught around the world. I’m excited to have built a strong rapport with Philip in an intimate group situation and to move deeper than ever before in your healing sessions. What issues can we release? Phobias- whatever they may be! To compliment your kinesiology sessions and gain full benefit consuming magnesium in conjunction with your sessions allows deeper release. Kinesiology is very effective but it’s not magic (well maybe a little bit). Clients often start to feel the benefits straight away, others after just a few sessions. To achieve optimal results, I would highly recommend to plan a minimum of 4-5 sessions. For more chronic health issues, fortnightly sessions are quite powerful until things start to balance out for you. After that, monthly tune-ups are a great way to prevent stress from building up. Really, it’s what feels right to you! I find for myself, regular monthly Kinesiology sessions are a beautiful way to stay in touch with myself and a good way of keeping my thoughts, actions and emotions in alignment with my dreams! To gain an understanding of your needs an initial appointment is 1.5 hours. Subsequent sessions are scheduled at1 hour. In this time we complete a TMJ and hydration correction so we will have a solid structural and energetic foundation to work. The stronger your body the deeper the issues we can release. Following this we clear energy from stresses, trauma’s or any issues you are experiencing or can simply ask your subconscious what you need to allow you to achieve at your greater good! Following a session there are many different things you can experience. I believe we need to detox any physical, emotional, spiritual releases occurring in a session so symptoms can vary. Your feelings will vary a great deal depending on the individual, what you’re working on and how you were feeling beforehand. All the above ‘side effects’ would be an indication a shift has taken place. You are welcome to come to your session with an intention of what you are wanting to achieve from it. Then go within and monitor how you have responded to the session in association with this intention.